What if you built a house <i>inside</i> a thermos bottle? Check it out! Green building, energy efficient home, radiant barrier, energy efficient homes, radiant barrier, home insulation, building a new house? What is an OPERA House? Whether or not your local energy provider offers off peak rates, this radical home design has many benefits even if taking advantage of lower off peak rates are not available. Note: You do not have to have Time of Use rates to take advantage of this design. The A/C unit runs more more efficiently and delivers significantly cooler air when not running during the hottest part of the day. Make your new house an OPERA house by submitting your plan to us for review. Your plan will be evaluated by a LEED Certified architect and returned with all the necessary details, means and methods to build an OPERA House. 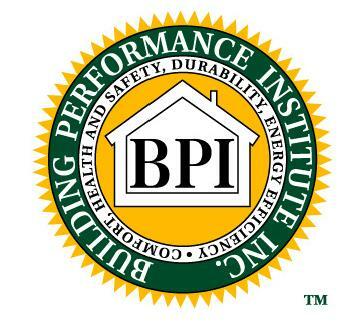 If you are a home owner and building a custom home, there is no "extra cost" to build an O.P.E.R.A. House. The few thousand extra dollars once rolled into the mortgage will be far offset per month with energy savings. Not to mention the increased comfort of your home. Calculated out item for time, material for material, labor saved vs extra labor came out to $2,000 extra for a 2300 square foot home. If you are a home building company, with the pending Home Star legislation, you would receive massive Federal credits not only offsetting the additional costs of building an OPERA House, but actually making a healthy profit, up to $8,000 per house! These credits are determined by how many KWH/square foot the homes uses. The air conditioning equipment run in lower temperatures means lower head pressures and decreased energy use, longer life. Our patented mass wall system stores cooling in the mass on the inside and creates the hot water needs of the home, typically without back up on the outside. The attic is insulated with our patented thermal control products which changes the direction of heat as opposed to resisting it like insulation does. Attic venting is significantly improved above the building code. The comfort of the OPERA house is unmatched by any design due to the low mean radiant temperature of the interior wall surfaces. 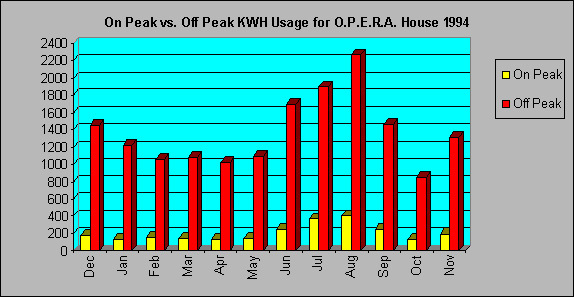 The OPERA Houses use over 90% of the power during off peak times which helps electric utilities make more efficient use of the generating plants and helps prevent brown outs and rolling blackouts and the building of additional peaker plants to meet rising demand. To design a home with the capacity of shifting most of the energy usage to less expensive, off peak times without altering the lifestyle of the occupants. One of the most difficult design considerations was interior comfort during the scorching Phoenix summer heat. With ambient temperatures exceeding 110F the air conditioning system would be under a significant load during the expensive, on peak hours. In addition to the air conditioning load, the first O.P.E.R.A. House was to be occupied by a family of ten! Using hot water for laundry and dish washing could not be expected to be postponed until off peak times. First, we designed a thermal flywheel into the home using mass construction. All exterior walls and one 8' x 20' interior mass wall were constructed of cinder block and filled with mortar and left uninsulated on the inside to absorb interior heat loads (lighting, people, appliances, etc.). This mass system is cooled during inexpensive, off peak times and effectively stores 12 tons of cooling with a temperature differential of only 4 degrees during off peak times. A home of this size and occupancy would normally require 5 to 6 tons of cooling. The OPERA House is being heated and cooled by one 3 ton, 11 SEER heat pump. The exterior walls are wrapped with two layers of our Radiant Wrap product which effectively retards heat gains and losses. This was covered by Dow expanded polystyrene foam board and then a stucco finish. The total R value of the exterior walls in OPERA II is R-2. The home is pre cooled at night during the less expensive off peak rates, and runs minimally during the day to maintain temperature and comfort. The capacity of the hot water tank was upsized from a standard 60 gallon to an 80 gallon tank and wrapped with two layers of Radiant Wrap. We then increased the temperature to 160F and installed a mixing valve which tempered the 160F water with incoming cold water. This would insure a delivery temperature of 130F effectively making the 80 gallon tank larger. The tank is controlled by a timer which was added to insure the tank would not be consuming electricity during the more costly on peak rate charges. Since 1993, the family of ten has never run out of hot water or heated water during expensive on peak hours even with guests staying over. Infrared thermography testing over the years has shown us that conventional insulation not only slows heat but very effectively stores heat . In an effort to minimize this we installed our proprietary radiant barrier over a bed of blown cellulose with an R factor of 19. This design effectively retards heat gain/loss and keeps the home from consuming large amounts of expensive on peak electricity. Click here To see the performance of this home. The chart clearly illustrates the performance curve of the O.P.E.R.A. House throughout the year. A family of ten, living in a 2300 square foot, all electric south facing home spent $56.00 on air conditioning in August! Local utilities recommend a 66/33 (66% off peak, 33% on peak) split for savings on time of use rates. The more you shift to off peak times, the more you save. O.P.E.R.A. house I averages a 87/13 shift throughout the year occupied by a family of ten. O.P.E.R.A. House II consistently uses 92% off peak regardless of the outside temperature. These values would be impossible using conventional insulation products in a desert environment. Electric Bills: Less than $240 per year for heating and cooling. Ceiling insulation: R-19 batt fiberglass with two layers of Radiant Wrap stapled to the flat roof deck. Send your blueprint including floor plan and elevations to our office for review by a L.E.E.D. Certified architect. All means and methods are cleanly lined out and there is no need to alter the design of your home, only how it is built using our products. You will be supplied with a detailed plan and instructions for implementing our designs. Our consulting design charges are based square footage, roof design, type of construction and elevation. Submit your plan for review and a free estimate of our planning services. If your new home is in the planning stage, we can offer suggestions to build energy efficiency into your new home. If your home is the framing stage, you still have time to install the most efficient product in the walls and attic.